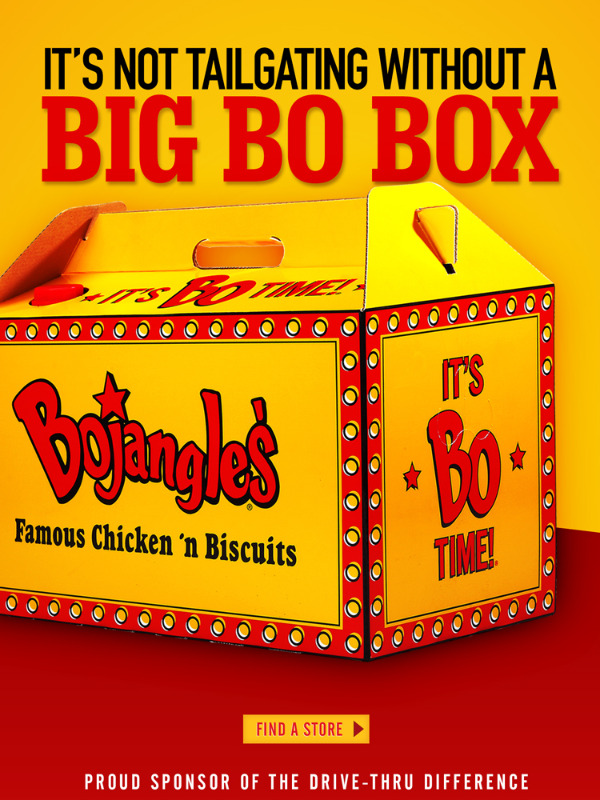 Jake spent the summer of 2013 managing the Facebook and Twitter accounts for Bojangles' - a large QSR with a dedicated following in the Southeast. Over the summer, Jake increased likes on Facebook by more than 4% and followers on Twitter by almost 9%. These numbers outpaced growth prior to his arrival and resulted by targeting a younger Bojangles' consumer. Almost all social content was generated by Jake during this time. That includes all copy, images and this Vine. In addition to social media, Jake was heavily involved in Bojangles' digital efforts. He did everything from display ad creation to managing a campaign website. Jake was also crucial in forecasting growth of digital assets as well as evaluating and defining success metrics for digital campaigns. Below is a tablet ad he created.